In March, several dozen city and elected officials, along with an assortment of Colorado Springs stakeholders congregated to debate options for the busy Hancock Expressway and Academy Boulevard intersection. The dangerous Colorado Springs intersection currently suffers from accessibility and crowding issues. 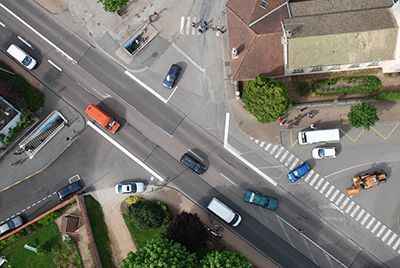 Safety is a major concern, as well, as the accident rate there involving injuries is three to seven times that of similar intersections across the state. Those at the meeting received the latest information concerning the project, were able to voice their concerns, and deliberate the values of five potential modifications designed to address the safety issues. All of the proposed amendments include widening Academy Boulevard to six lanes, but each proposal has a different approach to that end. One proposal splits Academy in the middle, one maintains the current layout, a third would reconfigure the intersection into a quadrant, and the final two proposals would shift Academy’s lanes to either the east or west. With no consensus being reached among those in attendance at the March meeting, it was determined that city officials and the project’s engineering team would endeavor to collect more information before putting together a recommendation this summer. Even with a plan in place this summer, organizational and monetary hurdles will still have to be cleared before proceeding. In 2011, the Colorado Springs City Council embraced the Academy Boulevard Corridor Great Streets plan for rehabilitating a six-mile stretch of the highway. The project designates the Academy Boulevard/Hancock Expressway intersection as an Economic Opportunity Zone and identifies the area as a significant redevelopment node. The council has charged itself with a comprehensive makeover of the area to facilitate greater urban, multi-modal, and economic development. The purpose of the Hancock/Academy Planning and Environmental Linkages (PEL) Study is to provide safer transportation for the entire traveling public, including private and commercial vehicles, public transit, bicycles, and pedestrians. The council hopes to improve mobility and access to businesses in the area, as well. The project kickoff meeting was held in September 2014 to discuss chief criteria integral to the success of the undertaking. Although several interested parties have identified areas of for improvement of the intersection in regards to safety and commerce, it will likely take two to three years before work commences on the project. If you have been injured in Colorado Springs, you need an experienced Colorado Springs car accident law firm on your side from the very start. Car accidents can be very traumatic and can result in years of pain and suffering for accident victims and their families. You need someone you can count on during this stressful time. Contact the experienced Colorado Springs car accident attorneys at the Green Law Firm today to schedule a no-obligation consultation and discuss your case. Call us today at 1-719-694-8515.